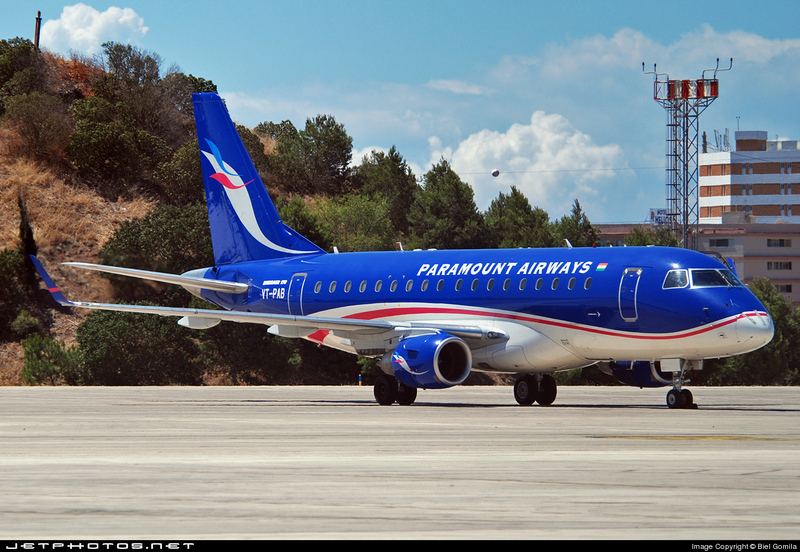 Paramount Airways was founded in October 2005. The airline flies to Bengaluru, Chennai, Kochi, Coimbatore, Hyderabad, Madurai and Thiruvanathapuram. M Thiagarajan is the managing director of Paramount Airways. Paramount Airways is the first airline in India to launch the new generation Embraer 170/190 family series aircraft. Currently, the airline runs as many as 20 flights on a daily basis. The Paramount airline started operations in October 2005.This company was originally headquartered in Madurai city , where they also operate Paramount Textiles. Its main hallmark was that it provided business class facilities at economy class prices. Also it was the carrier that introduced the Embraer Jets in India. In November 2010, Paramount Airwys was announced that Paramount Airways have won their legal battle.And are all set to resume services with a fleet based on Airbus and Bombardier aircraft also.Normalisation of the route network should be successful by December 2010.